ML’s Last Day of Kindergarten | What is ML Reading? ML graduates from kindergarten today. 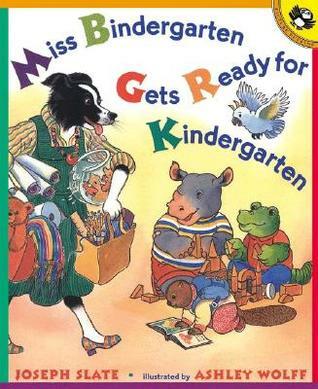 We started the year by reading Miss Bindergarten Gets Ready for Kindergarten by Joseph Slate and illustrated by Ashley Wolff On the 100th day of school, I planned to read Miss Bindergarten Celebrates the 100th day of Kindergarten. But it was checked out. 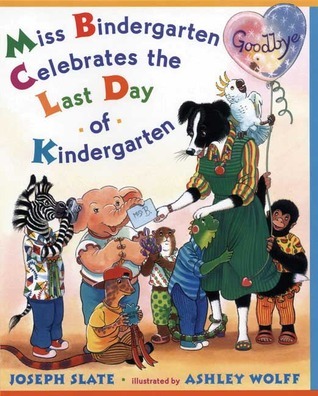 This entry was posted in Picture Book and tagged Ashley Wolff, First Day of Kindergarten, Joseph Slate, Miss Bindergarten Celebrates the Last Day of Kindergarten, Miss Bindergarten Gets Ready for Kindergarten by mlreads. Bookmark the permalink.